Blue is a symbol of eternity, often reminiscent of the ocean, the sky, the water, the universe. Pure blue nails give people a beautiful, calm, rational, serene and broad, bringing infinite imagination. Sky blue, dark blue, royal blue, dark blue... Blue nail art gives a feeling of romance and elegance. As long as you know how to match, blue can also play a different style, suitable for different types of girls. Blue always makes people feel a little cool in the hot summer, whether it is melancholy dark blue or pure light blue, it is very beautiful. 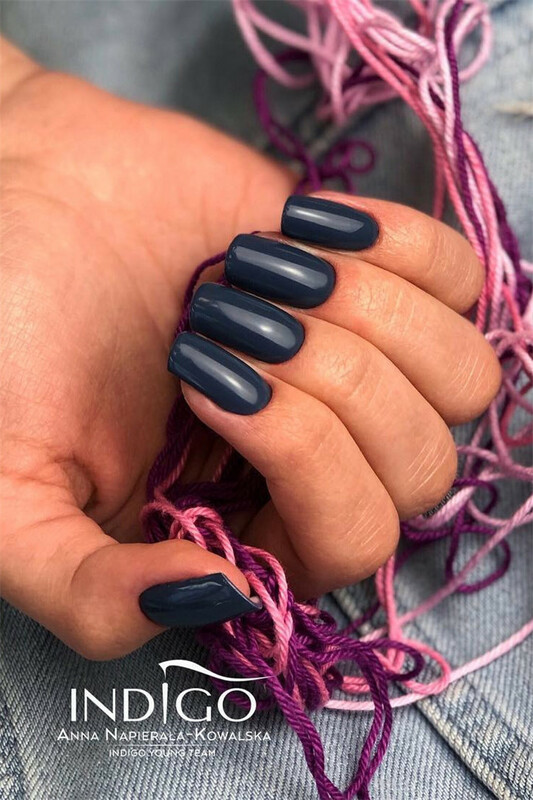 Today we collect some simple and fresh dark blue nails for everyone, Let’s take a look, and hope you can get some inspirations. Blue gives a feeling of peace and tranquility, always smoothing the impetuousness of the heart. Try blue nails and cure all holiday syndromes.